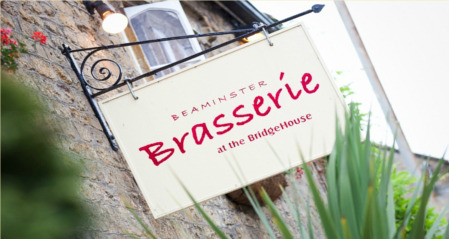 Dorset has many fine eateries, but you'd be missing out if you didn't give the Beaminster Brasserie, at the BridgeHouse Hotel, a try. Imagine the finest West Dorset produce from its luscious fields and bountiful sea served up in an historic setting with professionalism and passion. Whether you're looking for a quick, light, healthy bite, a delectable dinner or the best of the best business lunches, then you'll find it here.